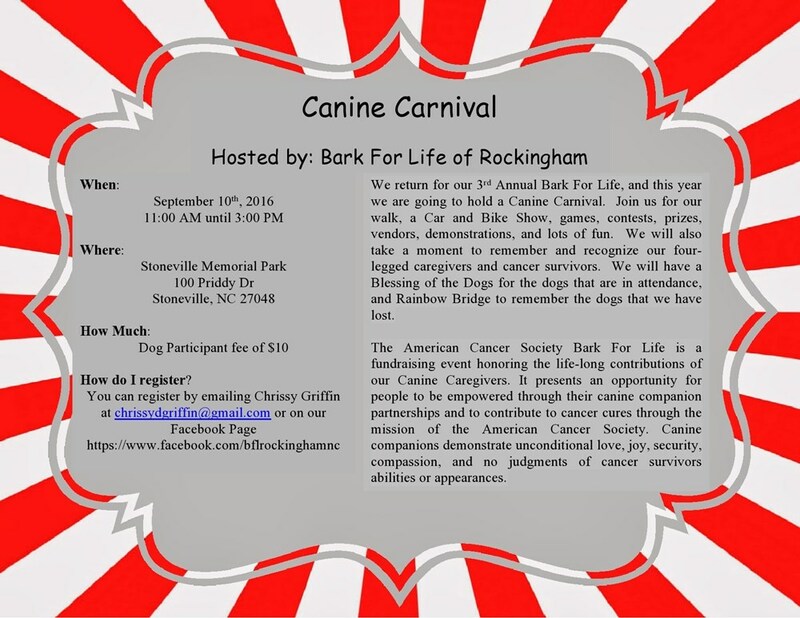 Join RC Tennis volunteers on the court at Stoneville Memorial Park during the Bark for Life events to give tennis a try. Join RC Tennis volunteers on the court at Stoneville Memorial Park during the Bark for Life events to give tennis a try. Bark for Life is organized to promote awareness of Cancer in our pets, raise money for research, recognize pets as Caregivers for Cancer patients, and to have fun!More event information can be found at www.facebook.com/bflrockinghamnc.